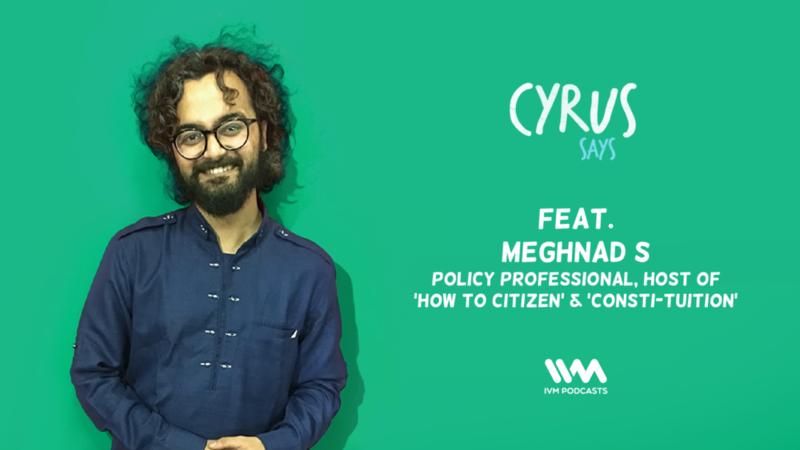 This week on Cyrus Says, Cyrus is joined by policy professional, parliament nerd, Youtube creator and podcast host Meghnad S. Meghnad sheds light on working with parliamentarians, the scenes inside the parliament, the mind bending anti-defection law, his favourite speakers and much more. He also tells us about his new podcast 'How to Citizen' right here on the IVM network. Amit Doshi later joins in for the AMA's. You can listen to episodes of 'How to Citizen' here: http://ivmpodcasts.com/how-to-citizen or any podcasting app.